Forums: Car List thread with details about FE and locked cars. Forums: Car Wish List thread for requests of cars that aren't in the game. How many cars and manufacturers are in the game? Please use the single Car Wish List thread for posting models you'd like to see added to the game. - This will reduce the need for moderators to merge threads, and make it easier for Turn 10 to monitor community interest. What are Forza Edition cars? FH3 introduced Horizon Edition cars to the series as modified counterparts to base models with body kits, performance upgrades, tuning, and bonus factors. "Not only do these cars look great and drive well, but Forza Edition vehicles also offer advantages to progress your career and increase your credit balance. Each Forza Edition vehicle has built-in multipliers that will enhance your credit reward for racing and winning with it, as well as increase the XP gained while you are behind the wheel." 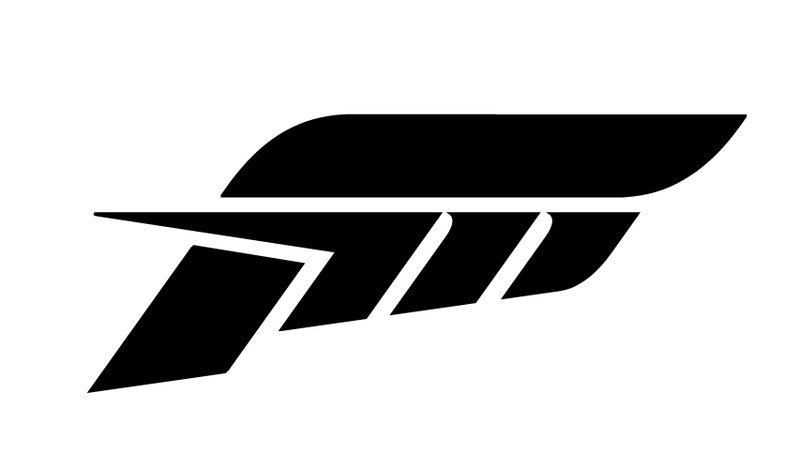 "In addition to being available as rewards in game, via the Forza Drivers Cup single player campaign or in #Forzathon events, you’ll also be able to find them on the Auction House, which is returning for Forza Motorsport 7." The VIP Car Pack is comprised of five Forza Edition models. Where are the Toyota production cars? "Unfortunately it isn’t always possible to align the interests of fans and the interests of our manufacturing partners. As a result, production Toyota vehicles are not represented in Forza 7. We’re as disappointed as you are about this news and, while we hope to bring Toyota production vehicles back to Forza games in the future, it is worth noting that a small number of Toyota race cars will be included in the game. " Where is the Chevy "SS" badging? Since 2015, "Changes to the Super Sport models In Forza 6 were made in association with Chevrolet in order to align with the brand's global naming strategies." What types of cars are in FM7? Roughly 75% of the game's launch roster is comprised of production cars, with more than 150 race cars representing: Formula 1 from multiple decades, Formula E, IndyCar, NASCAR, Australian Supercars, WTCC, Can-Am, Mercedes-Benz racing trucks, and historic and modern Le Mans prototypes and GT racers. Production cars range from the 1932 Ford to current year models and the world's fastest hypercars to oddballs like the BMW Isetta and 2013 Cadillac Limousine. SUVs, pickup trucks, offroad buggies, and Trophy Trucks are also included. The game does not feature motorcycles. How do car divisions work? Can different types race together? Each car is assigned to one of over 60 specific divisions to group cars by similar body style, performance, and time period. See the Car Divisions & Homologation discussion thread for a list of cars by division. In single player campaign mode and multiplayer hopper lobbies, events are designed around divisions with Homologation rules limiting power, tire width, and performance index with the goal of tightening competitive performance range. Free Play and multiplayer private lobbies allow players to set up races by various factors including country, performance index, drivetrain, aspiration, and physical specs. See the FAQ topics on Upgrades and Drivers Cup for more on Homologation. Are there any cars locked behind gameplay? All cars can be used as free Rentals in Free Play, but there are some cars not listed in the Buy Cars menu. When players start the game they will be at Car Collector Tier 1 which gives access to a selection of cars in the Buy Cars menu. Collecting cars unlocks Tier 2 and its group of cars, and so forth up to Tier 5. There are also Exclusive cars which are only available as awards from Forza Drivers Cup championships, #Forzathons, the Specialty Dealer and community events. See the FAQ topic on collecting cars for more details. How many cars will be added to the game as DLC? The Pre-Order announcement lists a Car Pass covering six monthly car packs of 7 cars each (42), in addition to the five VIP Car Pack models (Forza Edition), ten Day One Car Pack models (Fate of the Furious), and seven Bonus Car Pack models (Hoonigan). There may be additions via content updates or DLC after the Car Pass coverage period. See the DLC thread for additions and details. Why are some previous Forza game cars left out of FM7? Sometimes it's a choice we made to make room for another car we felt was more important for the title. Game design balance might be a factor. Or disc space: there's only so much room on the physical disc. Project budget or schedule impact another: porting and licensing cars from earlier titles in addition to building and licensing new cars all come with resource cost we have to prioritize. Sometimes we decide that a car has been made redundant by a higher trim version or newer model that otherwise is too similar to an older model to justify both. Sometimes we are unable to license a particular car by a manufacturer, or any car by a manufacturer (or even multiple OEMs represented by the same agency) for one reason or another, even if it was in last year's game. There are quite a few cars in the community top 100 list that fall under this category, but we'll keep trying. There's a reason that no other racing game features so many manufacturers: it's really hard! It takes a dedicated team of professional licensing and legal experts working year-round to maintain strong relationships with OEMs, race teams, and the agencies and lawyers who represent them, as well negotiating ever-changing contract terms, costs, and often changing personal contacts. The desire to have every car that has appeared in Forza to be included in every new Forza is understandable, but to expect that is just not realistic from a game design, licensing, or business perspective. Even when a manufacturer asks us to put their shiny new car in the game, it still has to be licensed, which isn't free. It all piles up if you multiply that by dozens of car makers and multiple models for each. But that's the price of doing business. There are benefits for us in that some of these manufacturers will amplify attention for our games or DLC on their website and social media.